I just finished two books that I want everyone to read. I can’t tell whether they speak “especially” to me, but try them. 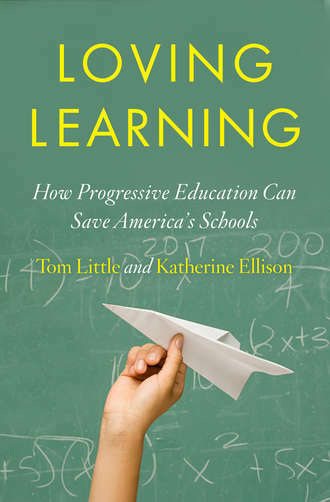 Loving Learning is written by Tom Little and Katherine Ellison and was published in 2015. The dual authorship is probably a reflection of the fact that Tom died in 2013. One additional reason for my loving it is that Mission Hill and Deborah Meier play a role in it. It is a story of Tom’s trip across America to visit 43 self-proclaimed and some not proclaimed progressive schools after 27 years as head of an Oakland independent/private school. He was also one of the founders of the Progressive Education Network (which meets annually–this year in NYC in the fall). An Empty Seat in Class, by Rick Ayers is about teaching, of course, but the focus is on the impact of a student’s death and other traumas on all those around them. While that is the focus but actually it isn’t quite the heart of the book. I also recommend it for its description of what it is like to be fully committed to being a teacher. (Yes, he’s Bill’s brother—but don’t let that be the reason to read or not read it! ).